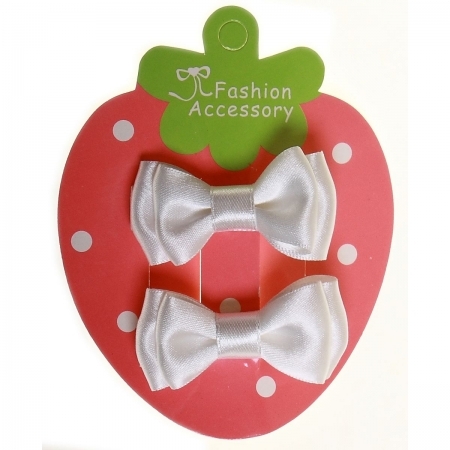 2 small white hair bows with clip. Very pretty for both baby and toddlers. Ideal complement for both casual and special occasion wears. Size 5cm length x 2cm width.